Open to all Michigan residents and to all students attending Michigan schools. Entrants must be of Polish descent and be at least 18 years old. The competition is open to all FPA members regardless of residence and heritage. All entries must be short stories, poems, or essays. All entries must be original, never have been published or received an award in any other competition. All entries will be judged together regardless of form. All entries must be in English but can be on any subject. They must be typed, double spaced, and with a maximum length of 5000 words. Participants can submit up to two (2) entries. Entry fee is $15.00 per person – not story. Please make checks out to Friends of Polish Art. Please send your material by Word or PDF attachment to: caroljsurma1@gmail.com. Mail one copy of your entry along with the entry form and fee to: Carol J. Surma, 626 East Fourth Street, Suite 8, Royal Oak, MI 48067. Deadline for entries is to be determined. Winners will be notified by to be determined and announced at the annual FPA General Membership Meeting on November 18, 2016. Please put your name only on the entry form – not on your entry. Prizes: Estelle Wachtel-Torres, MD Literary Competition Grand Winner – $300; 2nd Place – $150.00; 3rd Place – $100.00; Best Polish Theme – $100.00. Excerpts of Grand Winner and Second place entries may be published in the Friends of Polish Art Newsletter. All winning entries may be placed online at the Friends of Polish Arts Website. Entrants may receive multiple awards but may only receive one award. In case of multiple awards, entrants will receive the highest award. Submission of papers constitutes a copyright license to the Friends of Polish Arts (FPA) to publish and/or reprint the winning papers should FPA choose to do so without royalties or other fees. By submitting the paper, the entrants represent that they have the right to grant this license. The Friends of Polish Art is a non-profit organization under Section 501 (c) (3) of the Internal Revenue Code. 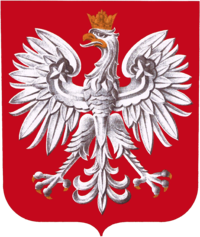 Friends of Polish Art is a member of the American Council for Polish Culture.